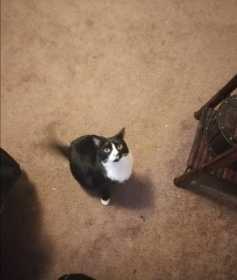 He is a little chubby tuxedo. He's skiddish but sweet and loves food. Please contact me if you've seen him he isn't one for being outside and he has no collar.